Earlier today, the Senate approved the “Every Child Achieves Act” (S. 1177) with an 81-17 vote. S. 1177 would replace No Child Left Behind and would retain some features of the current law, including standardized testing, but overall S. 1177 would give more flexibility to states and reduce the Federal government’s role in the nation’s education policy. The “Every Child Achieves Act” includes a proposal to authorize a new early education grant to states to improve early childhood education coordination, quality, and access, and would specifically target resources for low- and moderate-income families. Additionally, S. 117 creates a new literacy program that includes a set-aside for early learning initiatives. 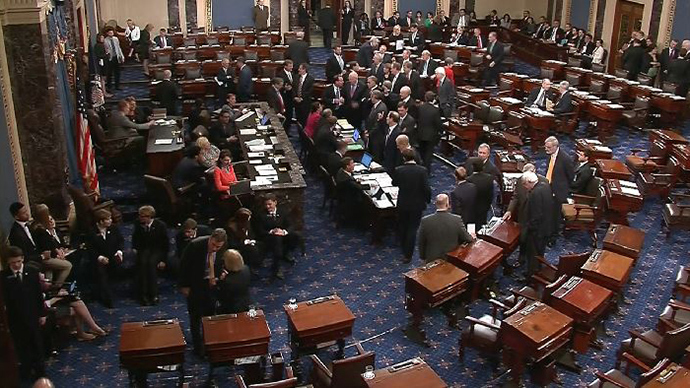 Shortly before the Senate approved the bill, Senator Bob Casey (D-PA) offered an amendment authorizing the Preschool Development Grants program, as well as the “Strong Start for America’s Children Act.” The amendment failed on a 45-52 vote. At this time, it’s unclear what the next steps are with regards to sending a final bill to President Obama. While the Senate bill represents a strong, bi-partisan agreement, the House bill, which barely passed last week, is much different and proposes far more drastic changes to the country’s K-12 education policy. The House version, known as the “Student Success Act,” goes much further in eliminating the Federal government’s role in holding schools accountable, especially for low-income districts. While President Obama has expressed concerns about the Senate-passed measure, he has threatened to veto the House version. However, this should not be interpreted that the President would sign S. 1177. Congressional leaders could reach a compromise between the House and Senate bills, but it seems very unlikely that a majority of House Republicans would support this. Therefore, House Speaker, John Boehner (R-OH), would need the support of nearly the entire Democratic caucus and some Republicans to approve such a bill. However, this would be a violation of the “Hastert Rule,” which is the legislating principle that any bill should be able to pass with a House Republican majority. Even if a compromise bill clears the House, it could face the threat of a filibuster in the Senate. We will continue to monitor this and keep you updated.